Find an Akeso psychiatric hospital? The mySOS app is easy to use and cost effective and provides extra peace of mind, particularly for people who travel, participate in outdoor sports, concerned parents, and even anxious pet owners. When registering on the app, you will be requested to enter contact numbers and email addresses for your chosen emergency contacts. 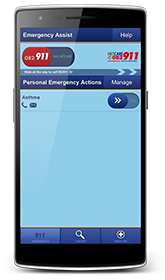 The app also sends the relevant demographic and medical information that will assist the Netcare 911 dispatcher in sending the correct resource to help with your specific emergency. The Netcare Assist App’s multiple functionalities give users access to emergency and medical information within seconds. The app offers an invaluable lifeline for any person in an emergency situation, looking for medical help or needing advice, and can be downloaded for free from Apple’s App Store South Africa and the Android Market. be directed you to the medical practitioners via GPS navigation. 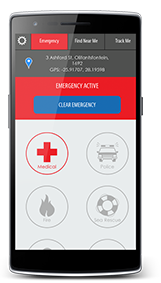 You can insert medical data that could be vital to emergency services personnel or doctors treating you in a life-threatening situation into the Personal Emergency Actions Manage feature, and also can e-mail this to your family or friends. For example, if you suffer from asthma you can record that information along with contact details and a message for the person you would want to be informed if you were to have an asthma attack. This information will be saved in a list of personal emergency actions and can be used by either yourself or a third party to quickly notify your designated contact of your situation.